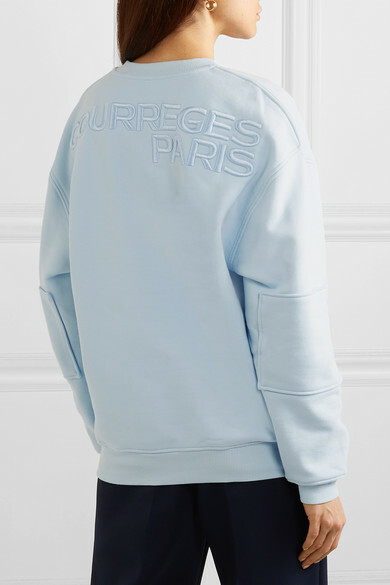 Spring '19 marks Yolanda Zobel's inaugural collection for COURREGES - she titled it 'The Future is Behind You' and drew inspiration from the label's sporty roots. 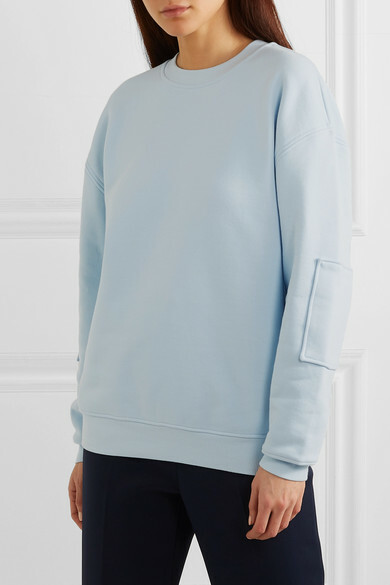 Made from loopback cotton-jersey, this sweatshirt is cut for an oversized fit and framed by ribbed trims. 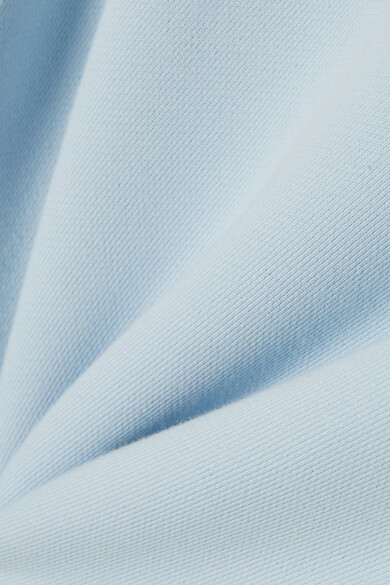 Highlight the light-blue hue alongside navy tailoring. 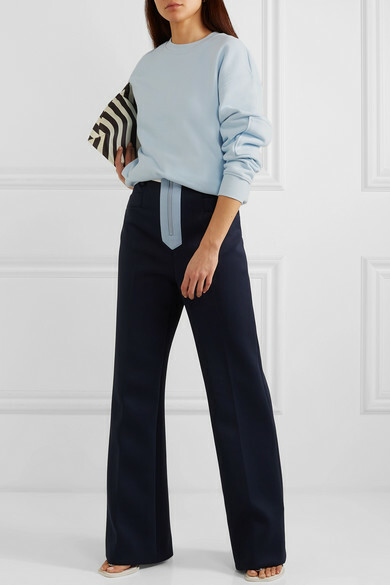 Shown here with: Miu Miu Pants, Dries Van Noten Clutch, Ellery Sandals, Laura Lombardi Earrings.